Mitch Stephen has been a self-employed RE investor for 20+ years. His real estate investing career started at the age of 23 when he read “Nothing Down” by Robert Allen. Mitch’s company, Independence Day, Inc., has bought and sold over 1,500 properties in and about San Antonio, Tx since 1996. Mitch has recently been named one of the Top 9 RE Investors to follow on Twitter. Mitch’s personal expertise includes; Raising Private Money, Finding Bargain Properties, Negotiating Favorable Terms, Dealing with Renovations and Contractors, Selling Houses & Notes with little to NO Discount, and helping others deal with the everyday throws of life in business. 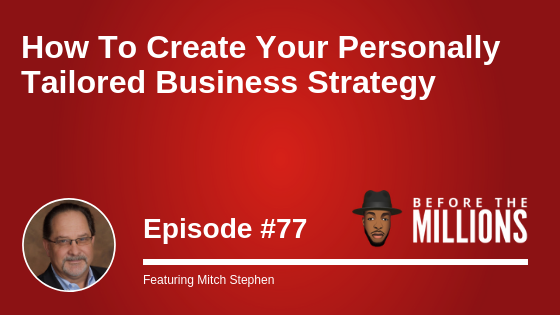 On today’s episode, Mitch talks with us about how he earned a first-class degree in entrepreneurship from the streets and why it’s important to understand the difference between working on vs. working in your business. Mitch shares his story of becoming an accidental real estate investor after buying his first condo purchase and how he ended up getting paid to live for free. You’ll learn what owner financing is and the # 1 difference between making a good living vs. earning millions in passive income. Access The Best Strategies, Tips & Advice ! Every week, we send an email sharing my best advice, tips and strategies related to Real Estate Investing. Each of these weekly emails contain relevant and actionable information that can help you no matter where you are in your investing journey.